The ideal location for your business to thrive and succeed is one of the single most important decisions you will make for your business. We've all heard the phrase ‘location, location, location’ time and time again; it really is something worth taking note of. For entrepreneurs starting a new venture, choosing the right location should be at the top of your to-do list. To find the best location for your new business, you will need to dedicate time to assess your requirements. A good approach is to decide on three things; what you must have, what you would like to have and what you cannot tolerate under any circumstances. With a clear image of what your ideal business location will look like and a budget in place, you will find it much easier to find that perfect location. Continue below to learn how you can find the ideal location for your startup, and avoid costly mistakes, thereby setting your new venture on the path to success. The facilities available at the offices in the area will have a big impact on how suitable a location is going to be. If all of the office spaces in the area are old, dated and not well-maintained, you may want to consider looking elsewhere. Not only will facilities like these be difficult to work in but basing your business there may hurt your company image. Premium office providers offer flexible leases with no long-term lock-in contracts and will also provide full back office support which is invaluable for startups. Servcorp are a premium office space provider with prestigious locations across the States, check their website to see what they have to offer. 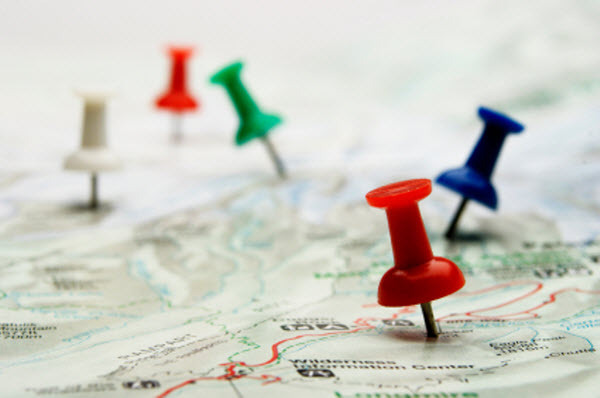 It’s important to consider your target market when choosing a location for your new venture. Look at the demographics and work out exactly who your customer is. Once you have that much information, you need to consider the local community. Are there enough people who match your customer profile in order for your business to succeed? If not, you will have to re-strategize. For businesses that operate remotely, you may not need a local workforce to tap into. However, if you are a growing company and you want to hire staff locally, you need to look at the local talent pool. Are there enough people living in the area or within a commutable distance that have the skills you require? Should you need to hire locally, this is a vital question to ask before deciding on a location. As with any major business decision, your budget is going to come in to play. Rental rates are the obvious place to start but there are other considerations to be made too. For example, some properties will include utilities while others will not. Cleaning, maintenance and repairs are other potential extra expenses which you should inquire about. And, make sure you remember to find out if a security deposit is required and if so, how much it will be. This is often overlooked by new businesses and you want to avoid any surprises when you go to sign the lease. Look at the facility objectively and consider how accessible it will be for both staff and customers. Is there ample parking space? Can you access the property easily by public transport? Is it easy to locate for delivery drivers and customers alike? Does the building have disabled access and an elevator? Ensuring that your office location offers accessibility, is crucial in this day and age. It’s important for your staff to be able to get to and from work easily and for clients to find you without any issues. There are many different factors that need to be considered in order to find the perfect location for your new venture. Do your due diligence and avoid the temptation to take the very first place you see as starting off in the wrong location can be detrimental to your business in the long run. Finally, take some time to carefully consider your requirements, investigate the local area and ensure that all the boxes are ticked before making your final decision. Remember, this is one of the most important decisions you will ever make for your new venture, so take the time to do your research to make the right call.